Photo of the day - A young Warwick Davis with a stuffed Ewok. Check out that T-Shirt. 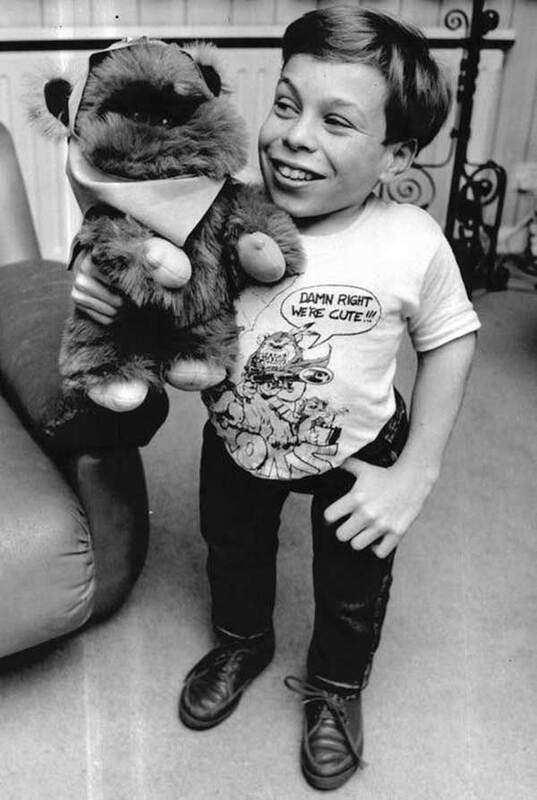 A young Warwick Davis with a stuffed Ewok. Check out that t-shirt. A gun wielding Ewok takes down a bunch of Stormtroopers while saying 'Damn right we're cute!' That is a t-shirt I would wear. Explains a lot about the Ewoks and how they took down the Empire.